Make these mini sausages up to 2 hours ahead. Do not heat oven, but follow the directions through step 4; cover and refrigerate. Bake when you're ready to serve them. 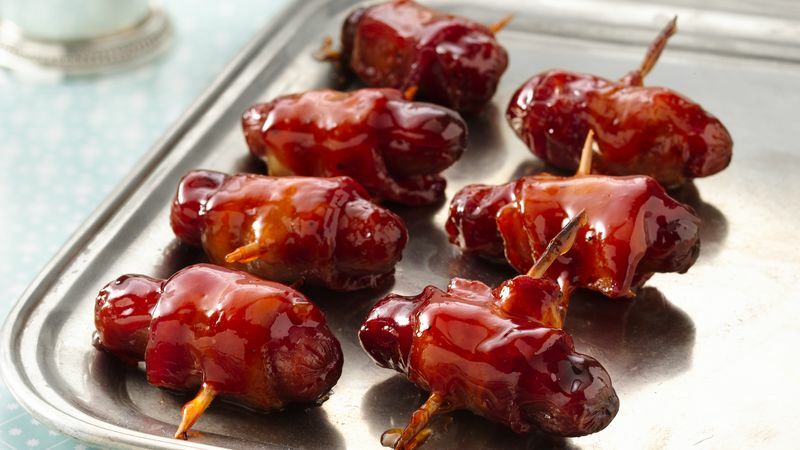 Add holiday flair by serving the sausages with festive toothpicks.